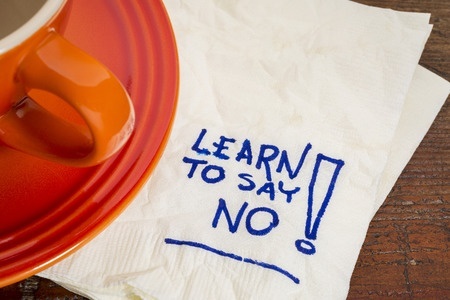 Saying "no" is difficult when you're a people-pleaser. And many of us are. There is a level of satisfaction gained when you help someone out that keeps us coming back for more. "Would you help me with Susan's bridal shower?" "Could you babysit this weekend?" "I need you to stay late so we can put the finishing touches on this project." Upon hearing these and the many other favors asked (or demanded) of you every day, your brain immediately goes into overdrive trying to find a way to do it all. Time management experts advise us to begin saying "no" to the majority of schedule fillers we face. But how do you do that without disappointing someone, or worse, being rude? Do you know your limits? If not, think about this. How many times have you said "yes" to something and then resented being roped into it? Now think about why you felt that resentment. Was it because there was something else you'd rather be doing? Was it because it cost you quality time with loved ones? Or perhaps you simply felt you'd been manipulated into doing it? The only person you are responsible for making happy is yourself. This is why it is important to know what makes you happy, and unhappy. Because the things that make you unhappy are the things you need to turn down. If spending time with nieces and nephews makes you happy, then agree to babysit them this weekend. Unless you'd really prefer to keep your plans to go skiing. It's your choice. And if you know your boundaries around making that choice, there's no reason to feel guilty about it. Take a peek at this example of personal limits (and a few goals) from writer and fitness expert Craig Ballantyne. It may inspire you. There are times when compromise is needed. For example, if you volunteer at your local hospital and agreed to provide a certain number of volunteer hours, it may be necessary to give up some weekend time to fulfill your obligation. Or if you truly owe someone a favor and the opportunity presents itself for you to return it, you may decide to give up something you'd rather be doing. You may also feel the need to take on a personal obligation to help a friend or family member in need. Again, there's always a choice and your heart will guide you. Once you know your personal limits and what you are -- and are not -- willing to give of yourself, it will be easier to know when your time and energy feel balanced. Saying "No" When It's Easier to Say "Yes"
"No" is a complete sentence. Sure, there are times when it's easier to say "yes." 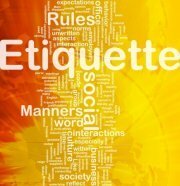 Especially when you feel you owe someone a favor, you don't want to be rude, or you're being badgered. But think how you'll feel afterwards. You'll dread having to fulfill your obligation. You may even show up late or do a poor job simply because you didn't want to do it in the first place. Saying "no" doesn't have to be so difficult. Especially when you don't say it at all. Instead, say, "That just doesn't work for me," or "I'm not available that day (time)," or "Maybe you should try and find someone more suited for that task (job, opportunity, project)." You may even use a combination of these or simply say what's on your mind (in the most courteous manner possible). There is no reason to lie, and there is no reason to gush about how sorry you are or give every detail about why you are declining. When you know your boundaries for obligating yourself and are able to create an appropriate balance for those obligations in your life, you will become practiced at saying "no" when you need to. And once people begin to hear you, they'll know when and when not to ask you for favors.